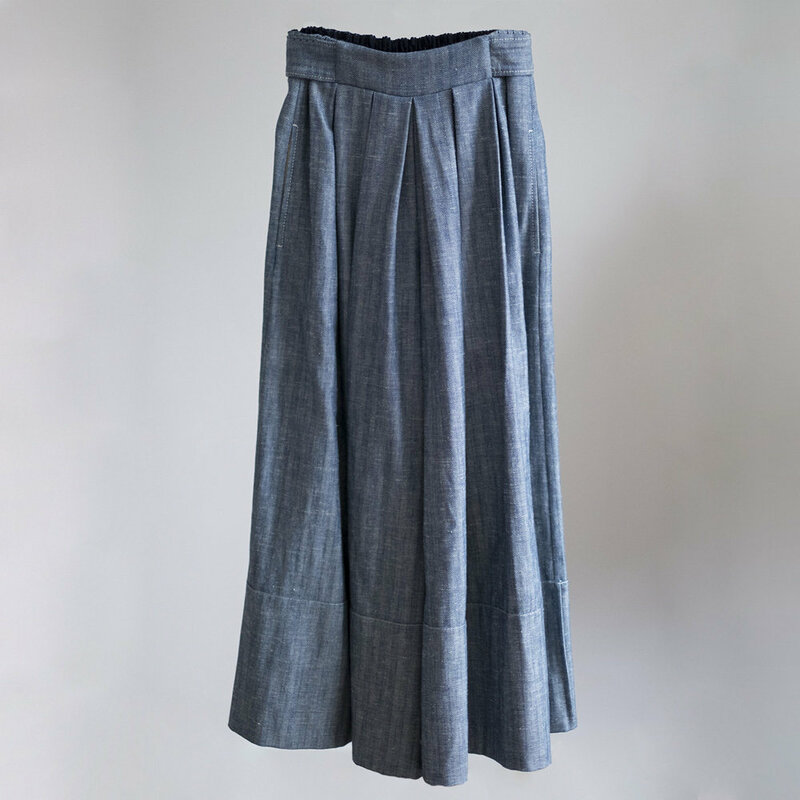 The W'menswear wide legged Culottes are made with the most beautifully woven Japanese Herringbone denim. The fabric has been made in small batch, woven on old looms, which gives it unique character. You'll notice this in the small imperfections throughout the fabric, which makes it so beautiful. The belt is faced with a shrunken corduroy, wiggly and wild like seaweed. Tie the belt in front or wrap it around to the back.